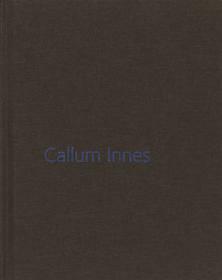 Artist Callum Innes talks about his work for GENERATION: 25 Years of Contemporary Art in Scotland. TateShots travelled to Edinburgh to meet Callum Innes, one of the artists featured in Tate Britain's 'Watercolour' exhibition. 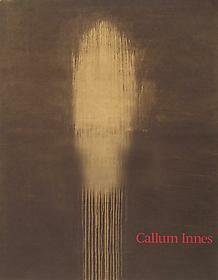 Callum Innes is among the most significant abstract painters of his generation. 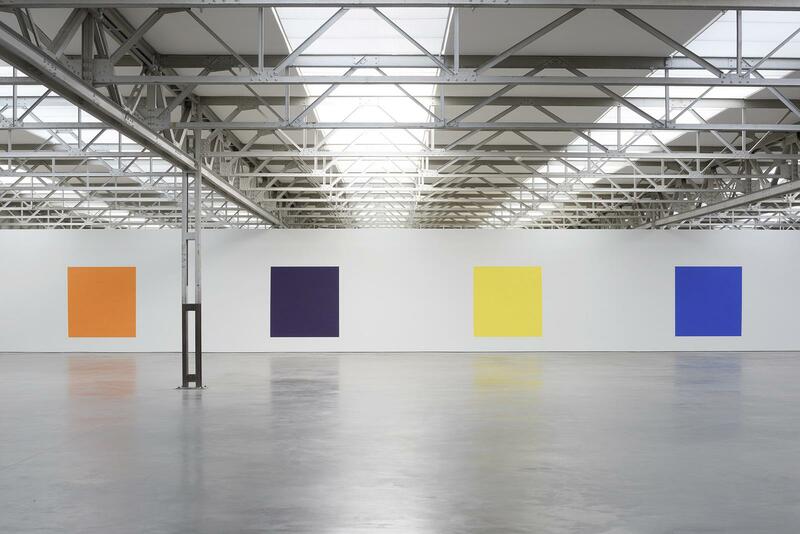 His paintings are highly disciplined but also uncertain spaces, combining the controlled authority of monochrome geometric forms with ever-present traces of fluidity and an always-apparent tendency towards formal dissolution. 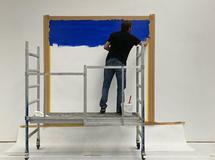 Central to his distinctive artistic process is a dual activity of painting and ‘unpainting’. Innes begins by applying densely mixed dark pigment onto a prepared canvas before then brushing the wet surface with turpentine: strategically stripping away sections of the painted space before it has entirely settled and solidified. 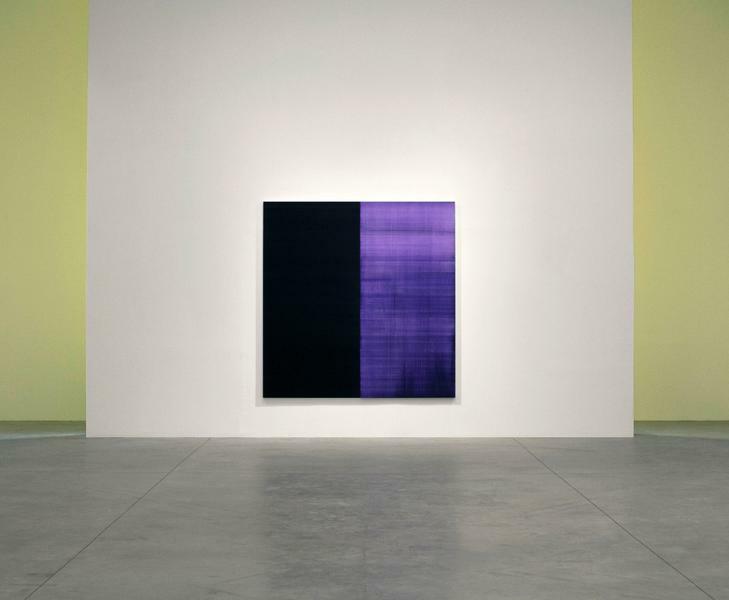 In an ongoing series such as his Exposed Paintings, solid square blocks of deep, complex black are accompanied by lighter zones of varying, more transparent colour – from dioxazine violet to cobalt blue to Veronese green – each separated section being the contingent outcome of Innes’s methodical erasure of the painting’s primary material substance. 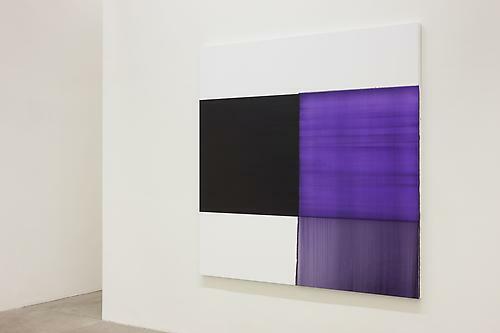 The applied turpentine makes visible the plural content of apparently monochromatic colour and introduces moments of visual loosesness and liquidity into the otherwise taut compositional order. 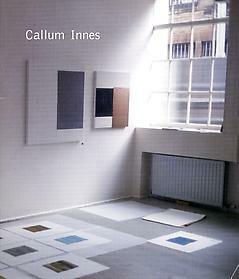 The results (across the many related series that Innes repeatedly and simultaneously has sought to develop in his thirty year career, such as, alongside his Exposed Paintings, the numerous Monologues and Isolated Forms) are abstract compositions characterized by combinations of absorbing tonal intensity and atmospheric openness. 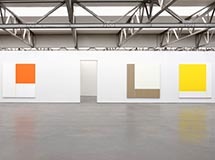 His paintings are at once formally strict and compellingly ‘fragile’, drawing intelligently on long traditions of abstraction just as they also emerge from a very singular – and yet constantly evolving – creative process. 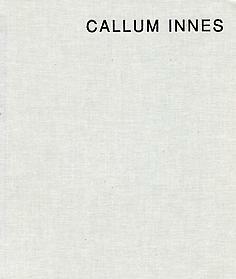 Innes has exhibited widely since the mid-1980s. 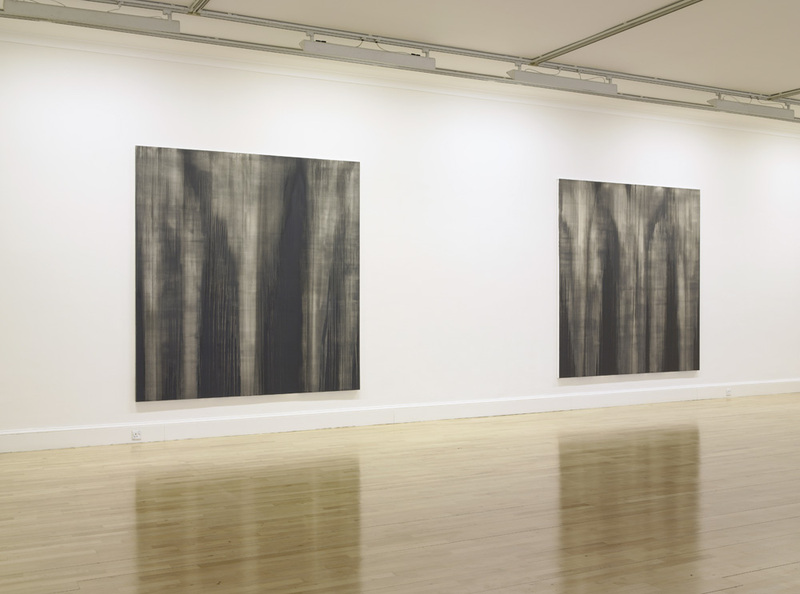 Current exhibitions include Ingleby Gallery, Edinburgh (12 May – 14 July 2018). 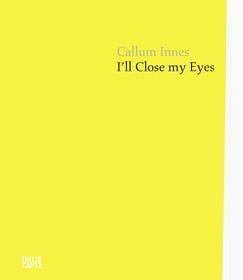 Recent solo exhibitions include In Position, Château la Coste, Aix-en-Provence (2018); I'll Close My Eyes, De Pont Museum, Tilburg (2016–17); Whitworth Art Gallery, Manchester (2013); From Memory, a major touring exhibition visiting Fruitmarket Gallery, Edinburgh, Modern Art Oxford, Kettle's Yard, Cambridge and Museum of Contemporary Art, Sydney (2007–2008); Irish Museum of Modern Art, Dublin; Kunsthalle Bern (both 1999); ICA, London and Scottish National Gallery of Modern Art (both 1992). 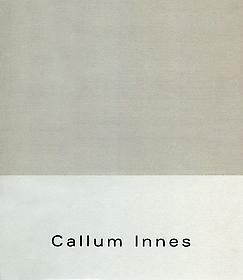 Innes won the Jerwood Painting in 2002, the prestigious NatWest Prize for Painting in 1998, and in 1995, was shortlisted for both the Turner and Jerwood Prizes in 1995. 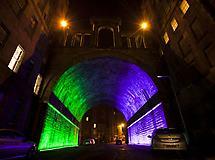 In 2012, Innes created a permanent commission for the Edinburgh Art Festival, entitled The Regent Bridge. His work is represented in numerous collections, both private and public including Solomon R. Guggenheim Museum, NYC; the Centre George Pompidou, France; The Irish Museum of Modern Art; TATE, London; the Scottish National Gallery of Modern Art, Edinburgh; The San Francisco Museum of Modern Art; The National Gallery of Australia, Canberra; the Kunstmuseum, Bern; the Museum of Modern Art, Forth Worth, Texas; and the Albright-Knox Art Gallery, Buffalo and Deutsche Bank. 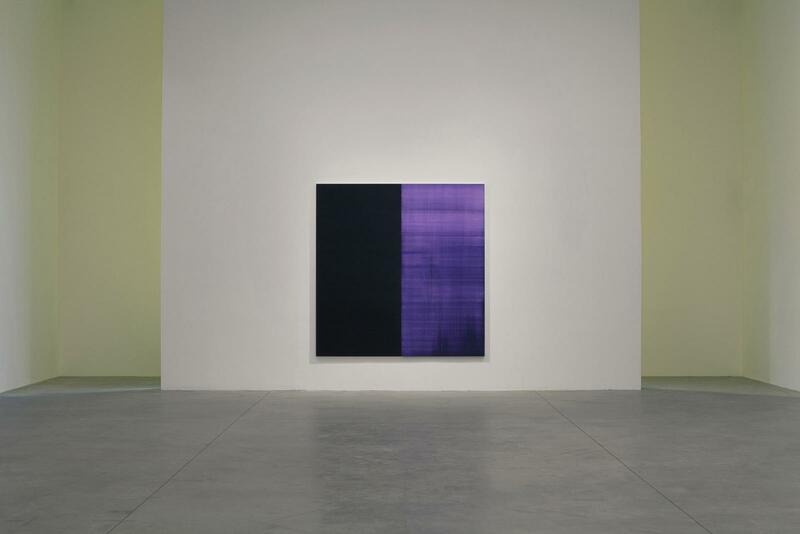 Callum Innes' first major solo exhibition in France. 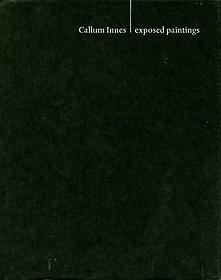 A fully-illustrated publication will accompany the exhibition, featuring a new text by critic and art historian Éric de Chassey (Director General of l’Institut National d’Histoire de l’Art, Paris). 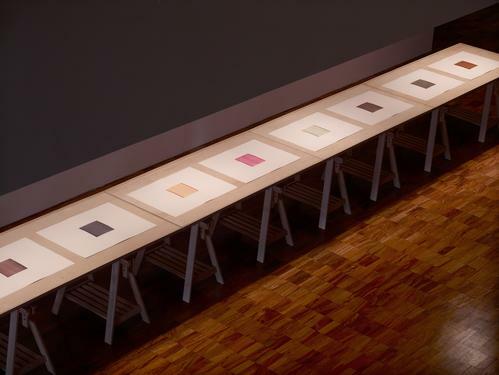 Park is an exhibition across two venues in Guangzhou and Hong Kong. Museum solo exhibition. 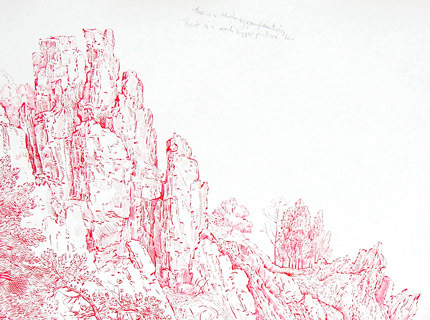 An accompanying publication by Hatje Cantz is available. 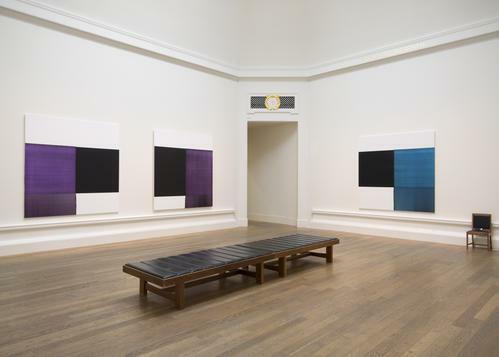 Whitworth Art Gallery Manchester, presents a solo exhibition of new work by internationally renowned abstract artist Callum Innes. 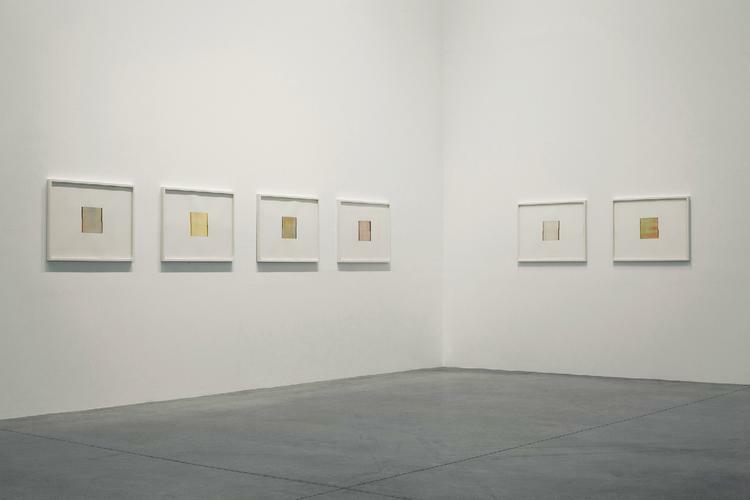 This exhibition showcases a selection of works on paper and new watercolours produced especially for the Whitworth Art Gallery. 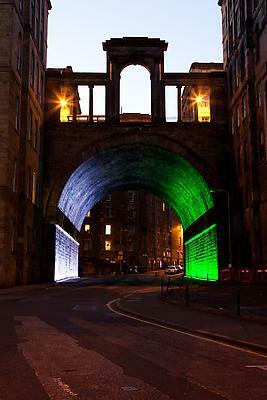 Celebrated internationally for his abstract paintings, Edinburgh based artist Callum Innes works for the very first time with light, in a simple intervention which floods a dark tunnel on Calton Road with colour to reveal the magnificent architecture of the Regent Bridge above. 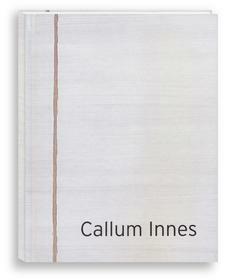 Callum Innes sits in the lounge area of the i8 gallery, looking at a flyer while he thinks. 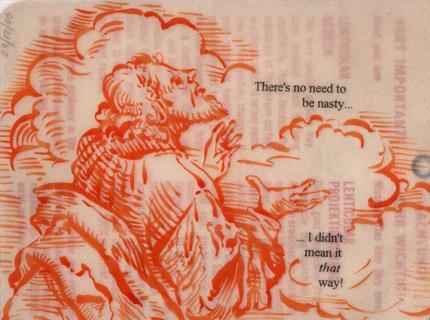 He picks up a pen, and unconsciously presses it to the card, about a third of the way in from the left edge. 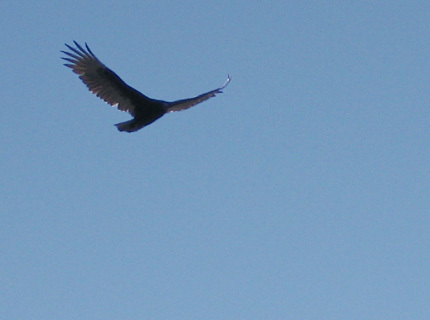 He moves the pen to the centre, and tilts his head slightly, regarding the flyer, now split in two by his line. He shifts the pen to the right edge, then shifts in his seat uncomfortably. The Callum Innes exhibition at Frith Street Gallery repays a little time and attention. 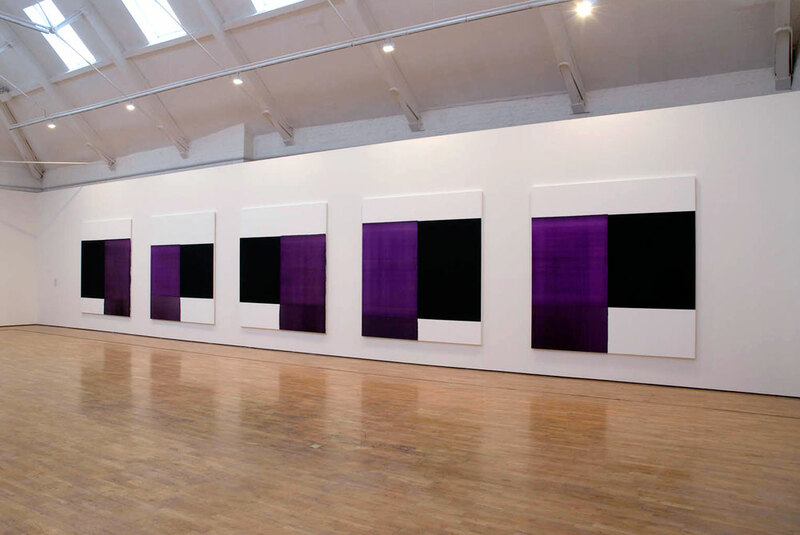 On entering the gallery’s darkened premises on Golden Square a small collection of paintings, all at first glance alike, greets you. Walk straight out again and you’d miss the event, for these paintings are exactly that. 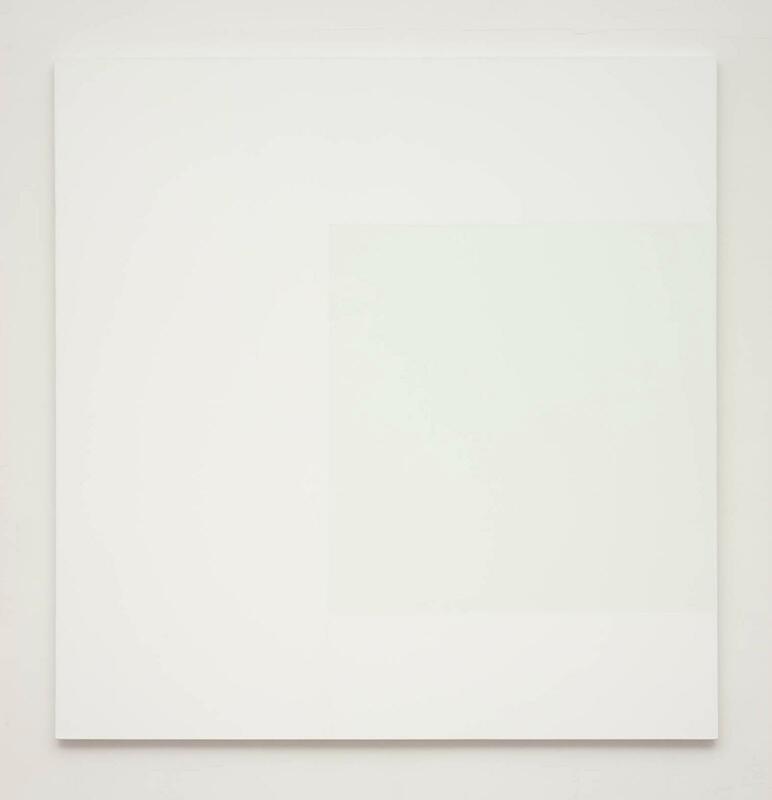 These are pictures with presence. 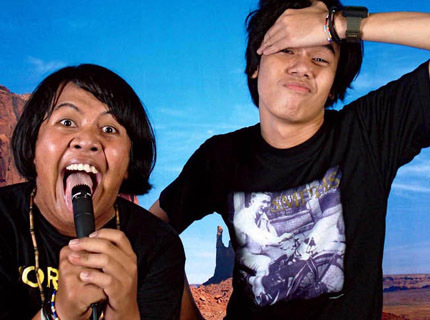 Their pull is such that simply being in their company is exhilarating, and the whole space is palpably animated by them. 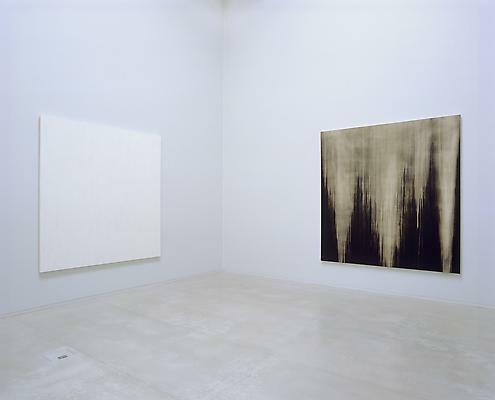 The faux industrial interior of the gallery, willfully austere in general, is lent a warm buzz by their addition. 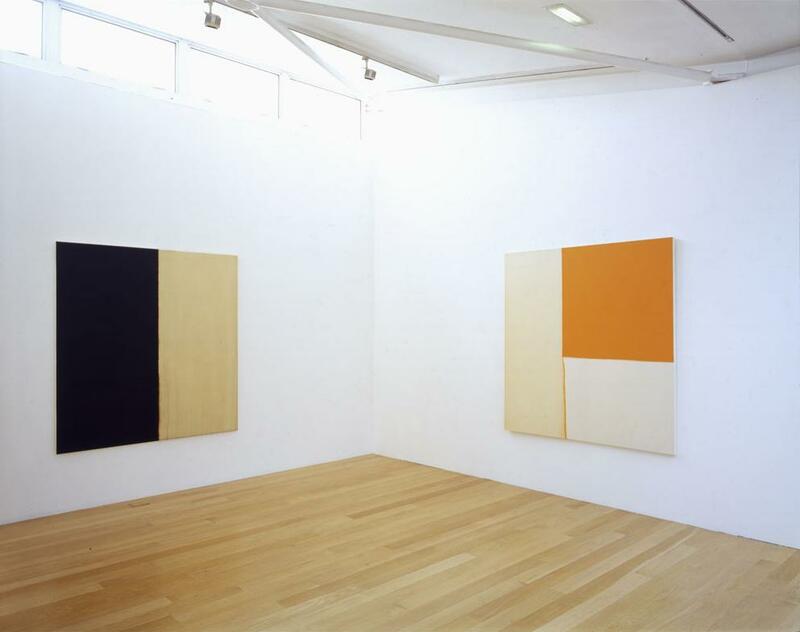 Painterly painters used to talk of any painting worthy of its name being "about paint". 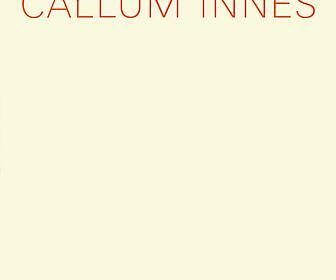 Well, Callum Innes puts on the oil paint and scrapes it off, then he puts it on again and washes it off with turps. 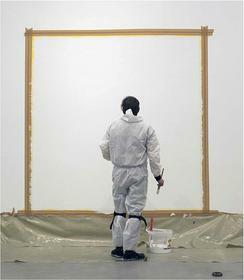 His works have been referred to as "un-paintings", and a recent series was titled Exposed Paintings. 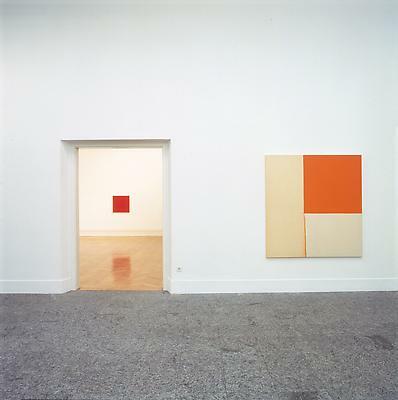 Yet these works tend to be graceful presences. 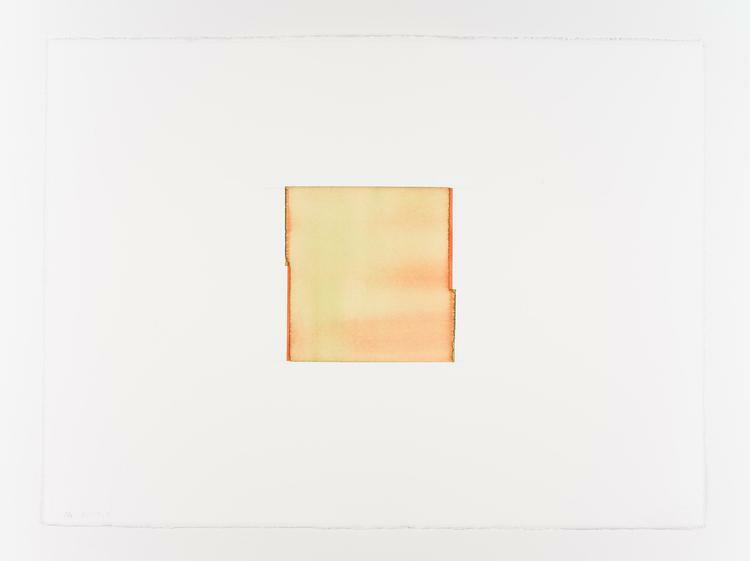 One square of colour sits next to another, their edges bleed out sensuously and their subtle differences of tone take on a lyrical resonance. 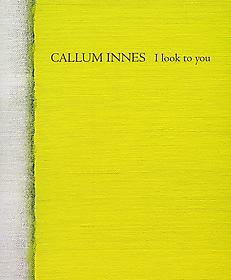 Yes, these are indeed paintings about paint, and Innes is a painter for whom the phrase is still fitting. It's an enduring problem: how certain pictorial resources, or the imaging capacities of paint, come up against certain material conditions of painting. 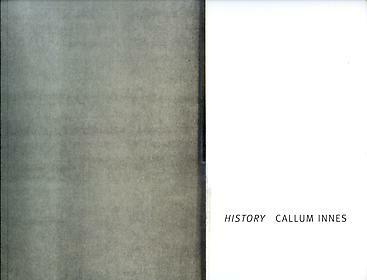 The title of Callum Innes's show at the Kerlin, Unforeseen, acknowledges the contingencies variously engaged in addressing this issue. 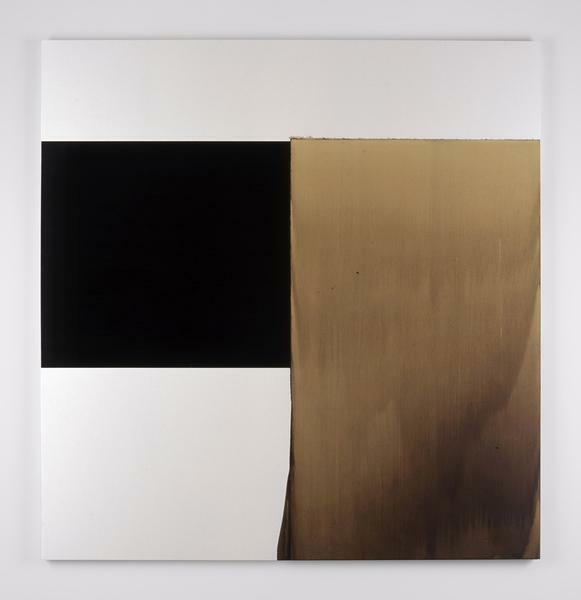 And it remains something of a puzzle how these surfaces end up as they are – fluid yet taut, silken or unctuous, full of mineral incident and sparks of contingency – and not otherwise. 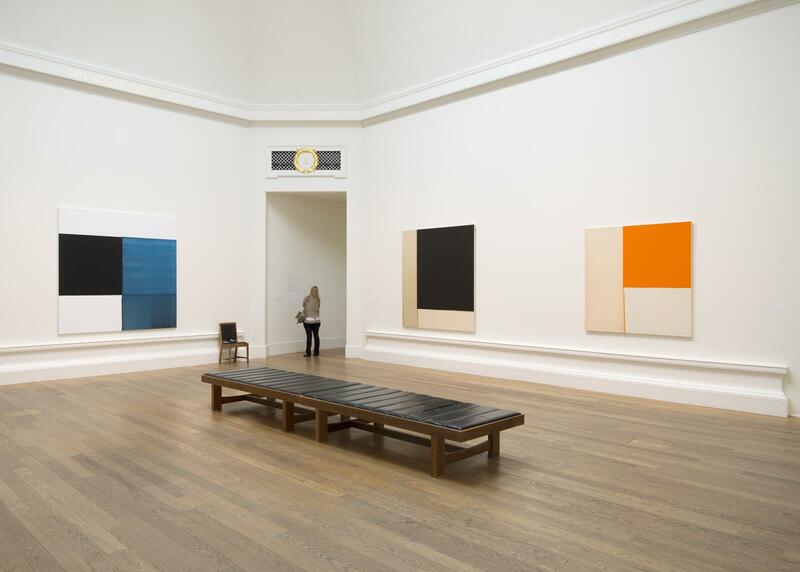 The paintings only give up so much about the history of their making. In response to a problem, then, less a solution than an intrigue. 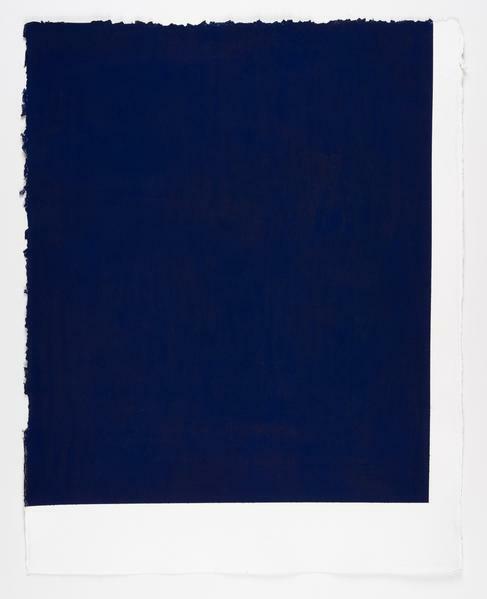 Callum Innes is best known for what critics dub “unpainting,” and he has collaborated on exhibits with such non-painters as novelist Colm Tóibin. 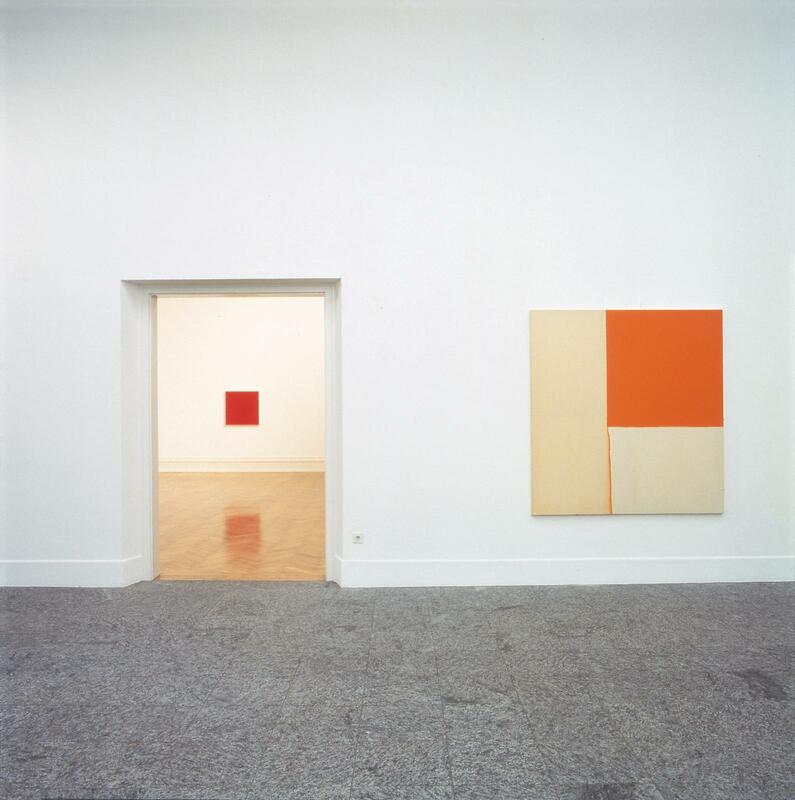 But for an abstract, boundary-crossing artist, his reflections on art can sound almost traditional. 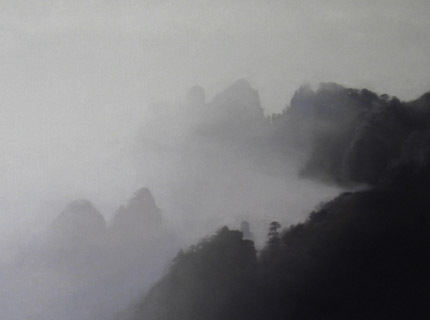 His first solo exhibition in Asia, at Edouard Malingue Gallery in Hong Kong, recently opened. 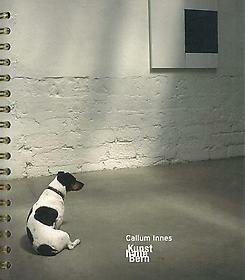 The 1995 Turner Prize finalist shared his thoughts on seeing sound and the biggest problem with art. 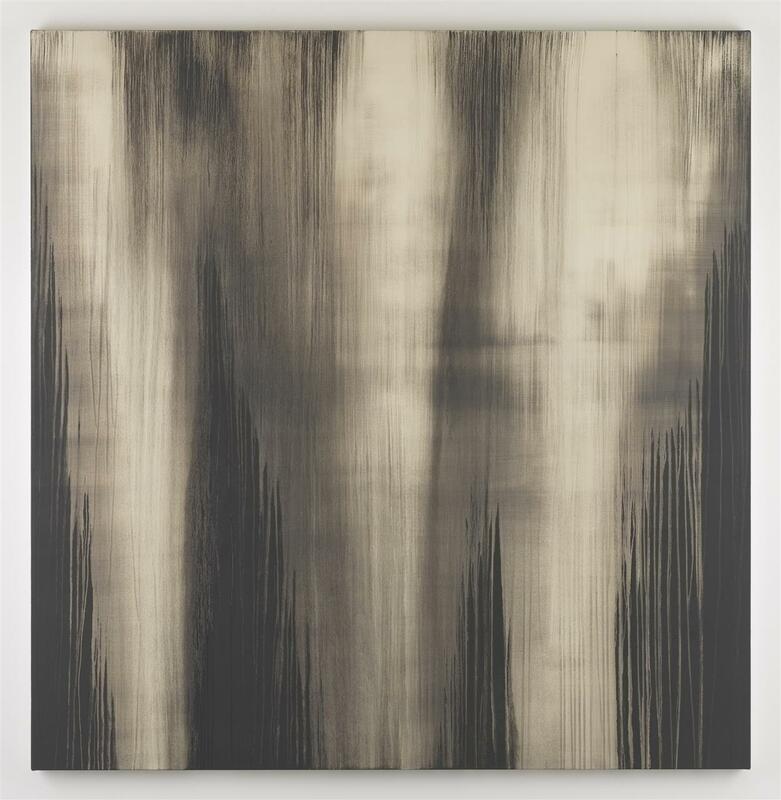 NEW YORK Painting—unlike, say, sculpting—can reliably be called an additive process. And abstract paintings composed of paired monochrome fields don’t generally invite the kind of reading we associate with text. 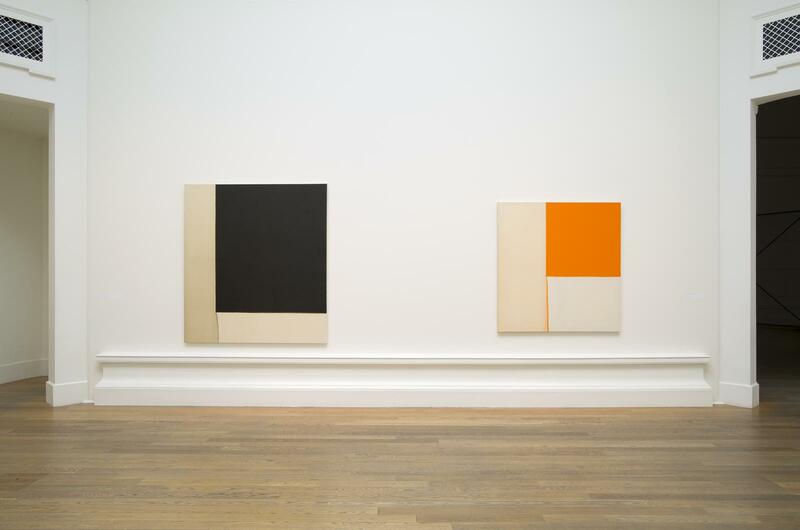 These are two assumptions trounced in the new work of Callum Innes, a Scottish painter with a 20-year commitment to deceptively reductive abstraction. 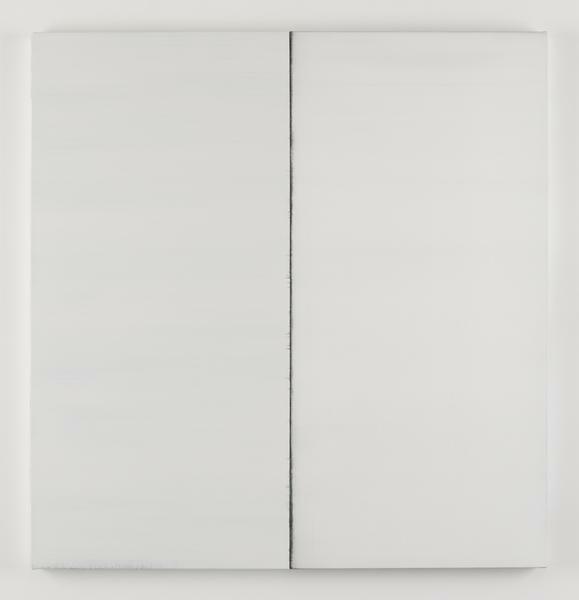 Split not-quite-squares, the paintings on canvas (all 2009) in “At One Remove” were each produced by applying sizing (rabbit-skin glue) to canvas, then several layers of gesso, then two adjacent rectangles of solid-color paint, one of which is thoroughly wiped off with turpentine; then two more rectangles of color are applied, and the other side is wiped. Each belabored but resolutely serene final image is divided vertically by a dark line, a residue of the four applications of paint; some evidence of the process can also be found on the edges of the canvas where it wraps around aluminum stretchers. For “I Look to You,” an exhibition by the Scottish painter Callum Innes at Ingleby Gallery, the artist introduces a new series of abstract works. Innes has gently refined his characteristic process of addition and subtraction––applying paint and then removing it with washes of turpentine––by building layers that exude elegance. Most of the works are divided vertically into two equal parts, with one muted side and one dark or bright side painted with a lush hue (blue, red, green, and yellow among them). 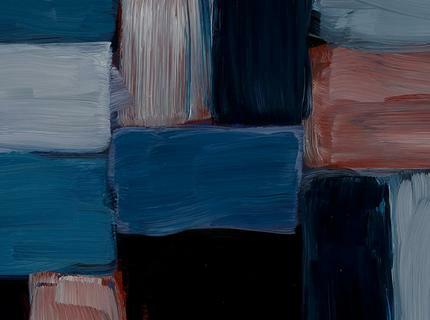 All exhibit bold horizontal brushstrokes and variegated surfaces. It has been said that Innes’s interest in light is inspired by the Scottish landscape. 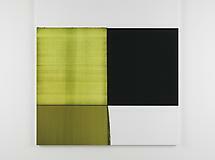 In these paintings, however, the artist plays with contrast. 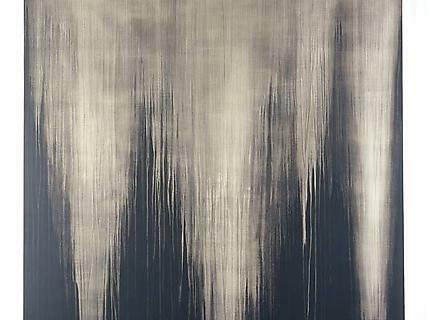 Light and colored shadows are revealed beneath the surface as if spilling out through cracks along the centerline or around the edges of the canvas itself. All untitled, these are meditative pieces. Inviting the mind neither to cling to a particular theme nor to wander, they draw awareness to the rigorous procedure of their creation, balancing the tension between staying in the moment and allowing the process to unfold. In the five exhibition rooms, an almost pretentious quiet prevails, emanating from the tonal shifts within expansive, monochromatic colour fields ruptured by delicate liquid flows. 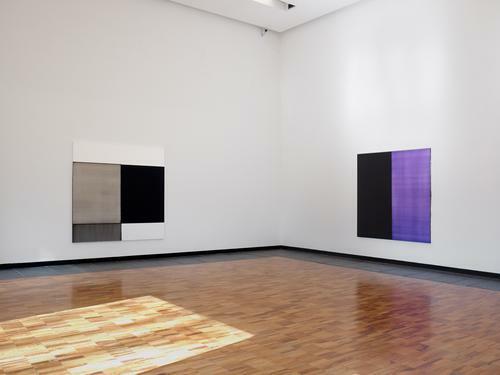 The visual and spatial unity of Callum Innes' exhibition is dependent upon a conceptually motivated painterly process: the application of monochromatic colour zones within a rigid geometry. Colour is stripped back or washed off with turpentine until the underpainting glimmers through or runs out. 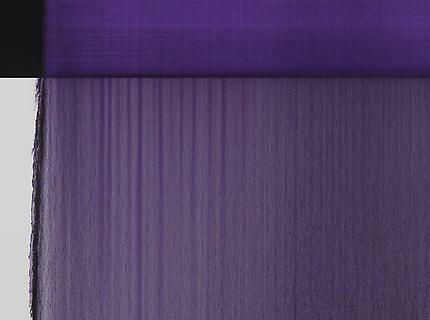 Trickles of seeping paint remain visible on the paintings as cloudy stained surfaces, dark edges and isolated rivulets. Why do you want to distance yourself from the work? 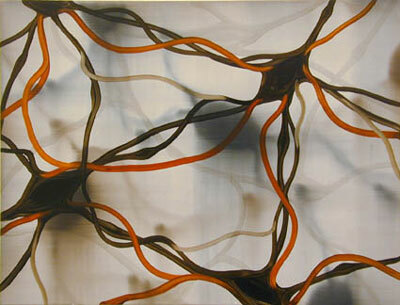 Six or seven years ago my work was figurative. 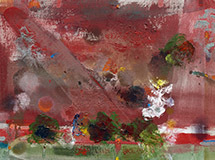 I felt that the paintings had so much of myself in them that it was absolutely clear what l was feeling when l made them. 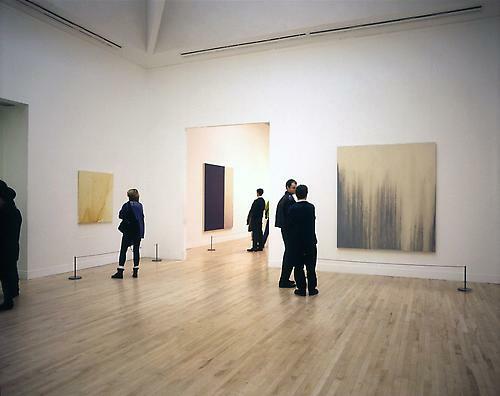 I wanted to keep that distance so I could look at the paintings on a reflective plane, and other people could also. 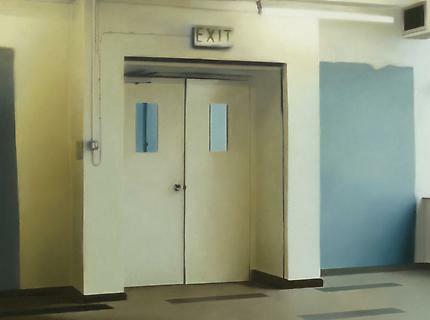 For a while there was a need for a lot of artists to keep a distance from their work, but actually I enjoy it when people do realise that there's some of you in it, and that it's not just a process painting.  Because then it is just a process painting to me. 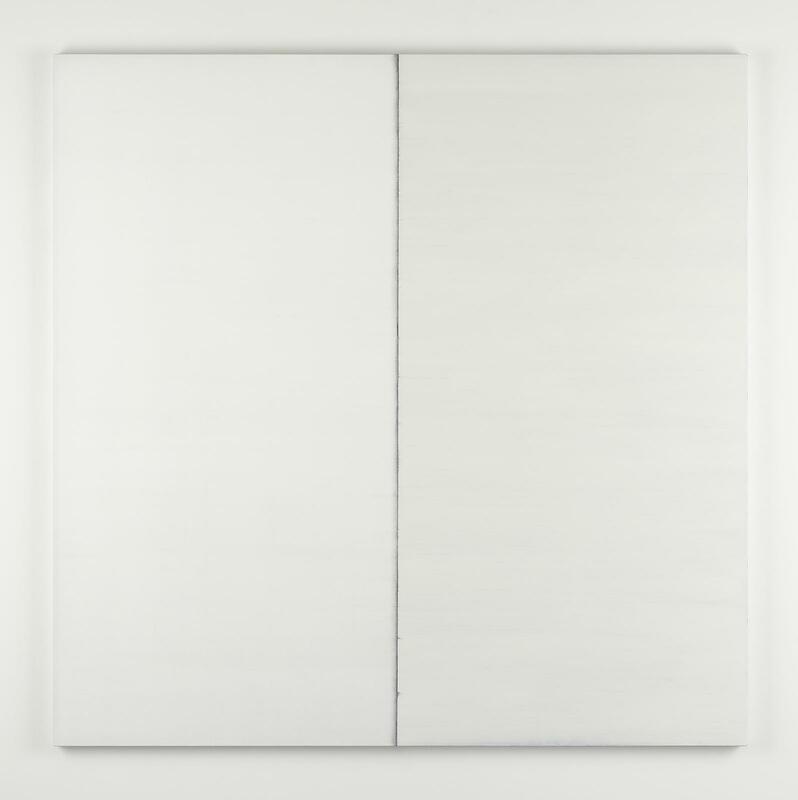 In my work there is also something emotional, perhaps slightly spiritual going on in the canvases, especially the white ones. I just didn't want them to be completely self-evident.